Solid surface is considered by experts as the ideal decorative surface for the bathroom. It's non-porous nature repels water and is highly stain resistant. Sinks can be seamed invisibly to the countertop surface with no gaps or joints to harbor harmful bacteria. Solid surface is perfect for tub and shower surrounds because it seals out the moisture and is easy to clean. Stains are easy to remove. 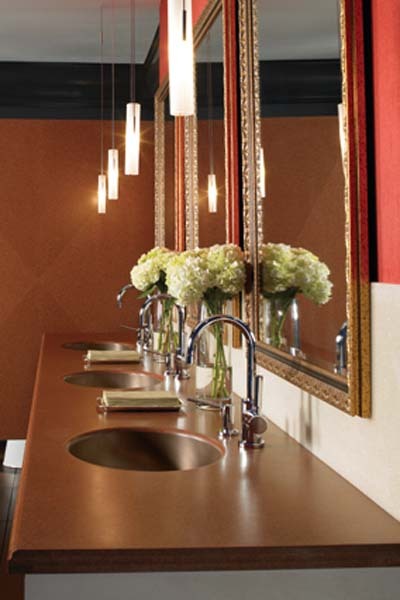 Solid surface in matching or complementary colors can be used for floor tiles, wainscotting and even decorative trim.